Teachers may be next in line to strike over pay after a deal for nurses that will cost €35m a year. The Government is under pressure to come up with an early agreement with teacher unions after offering nurses a better package for recent recruits. And other public sector unions are now dissecting the deal and consulting with their members about the potential for knock-on claims. But the teacher unions are already primed for ballots on industrial action to end a two-tier pay system introduced eight years ago, if they do not get an improved deal. More than 7,000 Siptu support staff including healthcare assistants and laboratory aides working in major hospitals are also considering industrial action. Sources said they will be expecting the Government to "progress" their pay claim in the wake of the nurses' deal. They have accused the Government of refusing to award them a pay rise under a job evaluation process that was agreed within the parameters of the public service pay deal. It has also been revealed the nurses will not face financial sanctions for taking strike action, which were previously imposed on teachers. A spokesperson at the Department of Public Expenditure and Reform said they are not set to suffer penalties, including a pay freeze and delay in wage hikes that are due under the public wage deal. It is unclear what the full cost of the nurses' package is - or where the funding will come from. It is also unclear whether it could be viewed as a cost increasing claim - which is ruled out under the public sector pay deal. A department spokesperson said the pay deal will cost up to €35m next year - but this figure does not include savings that will be generated to fund it. The cost this year is up to €15m. Based on this figure, the deal would be worth an average increase in the region of €875 a year per nurse - without including the savings. This would compare with a €50m deal offered to gardaí to halt strikes two years ago, valued at €3,500 each. But the department would not specify how much will be raised through savings that were put forward in a Labour Court recommendation to resolve the nurses' dispute. The savings include reducing the cost of an existing deal for nurses to tackle two-tier pay that involves leapfrogging over pay increments. It also said there would be a cut in spending on agency staff, while productivity measures would yield "quantifiable benefits". It said these would be finalised during talks over the next three weeks. Government sources see the deal with the nurses' unions as a minor victory for their strategy. Sources say they never wanted a single day of strike but had to wait it out until the INMO's demands came dramatically down. They said the cost of around €35m a year is viewed as "expensive but manageable compared to what was being sought". In particular, they said the level of productivity tied into the deal is significant. "This deal is very different to what happened with An Garda Síochána. The Government is in a position to welcome what the Labour Court has recommended," one source said. However, they will be closely watching the reaction of other public sector unions in the weeks ahead. The public sector pay bill is already on course to rise from €17.8bn to €18.7bn this year - its highest level ever. 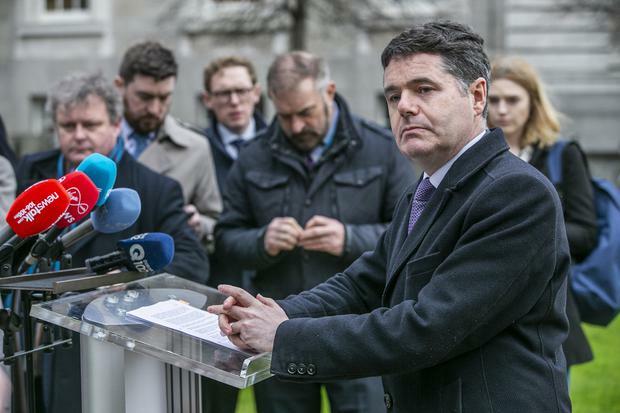 When asked if he is confident he has a bullet-proof assurance there will be no knock-on claims, Minister for Public Expenditure and Reform, Paschal Donohoe, said that was a matter for them to decide. "It wouldn't be appropriate for me to comment on how they will evaluate it," he said. He said "productivity and the reallocation of funding for the new entrant agreement is making a very big difference to how we will fund this". It was business as usual at Dublin's Mater Hospital yesterday as nurses got back to work following the suspension of this week's three-day strike. Several nurses said they saw the Labour Court's recommendations as a "stepping stone" towards attaining their demands. 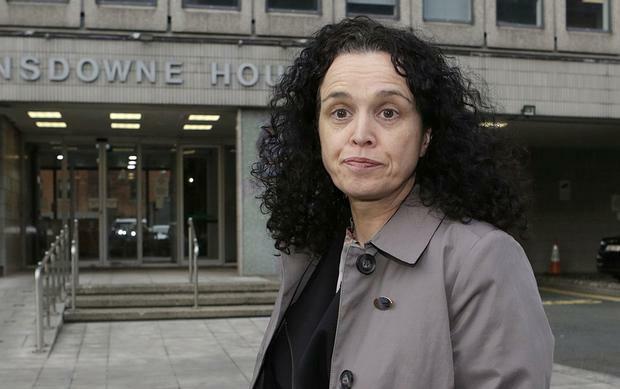 Another nurse said she is unhappy with a lack of clarity from the INMO. "They told us the deal is very complex, but we deal with complex issues every day as nurses and are highly educated," she said. "The INMO are telling us not to believe anything besides what they say, but from the moment the strikes were suspended, important details were leaked to the media. I was surprised that the strike was pulled. "I don't know the reasoning behind the decision." Q&A: What's the nurses' pay deal like?